Last year I perfected the recipe for the vegan version of the sugar skulls, and I couldn’t be happier. Usually, the preparation requires meringue powder or egg whites, but I am using aquafaba with great results. It is definitely more affordable than using meringue powder, and you can make hummus with the chickpeas. This year I have been very conflicted. As you probably already know, el Día de los Muertos is going mainstream. I don’t know how I feel about that. 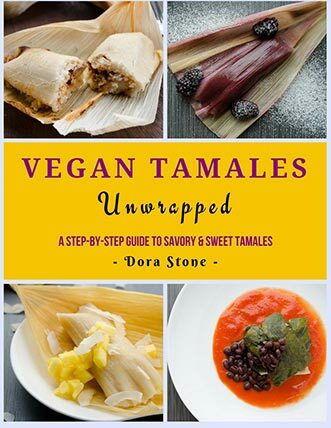 A part of me is excited that more people can get to know Mexican culture, but another part of me wants to scream, ” No, this is cultural appropriation!” I don’t know, what do you think? I guess all I can do, is do my part in helping others understand the beauty of the tradition. 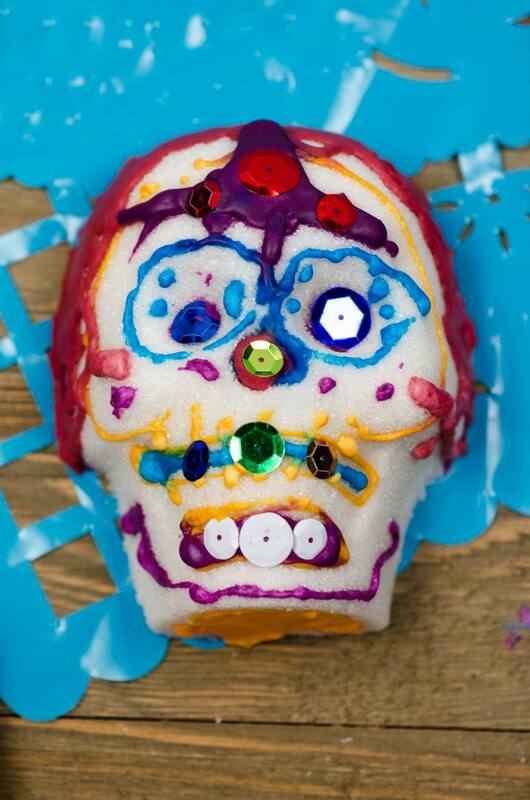 Last year I invited some friends over to make the sugar skulls, and then we read the book The Day of the Dead by Bob Barner. Ok, so let’s get down to business. I recorded a small video for you with the whole process. 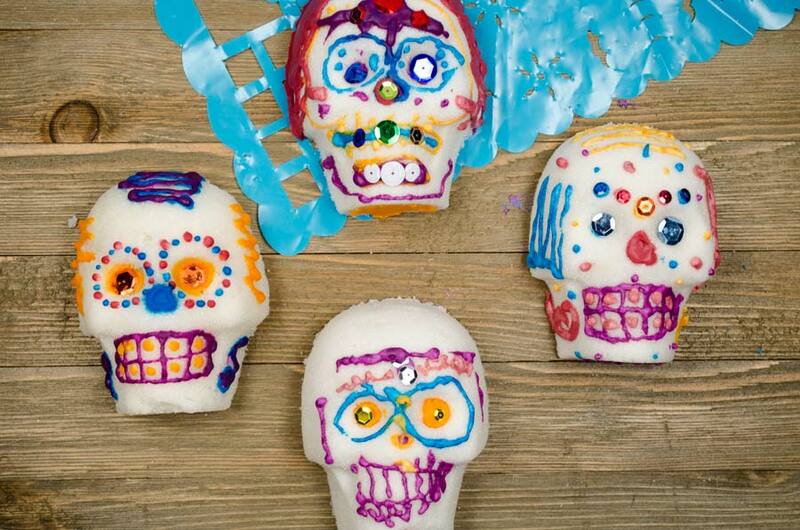 We don’t usually eat the sugar skulls, but you can if you want to. We use them for decoration. I purchased my molds from mexicansugarskulls.com, way back when nobody else was selling them, but now you can easily find them on Amazon. If you live in a humid climate the sugar skulls will take longer to dry, and you will most likely have to add less aquafaba. In a large bowl, lightly beat the aquafaba until it starts to bubble. Pour in the sugar, and use your hand to mix well and incorporate the sugar and the aquafaba. It should have the consistency of wet sand, almost like you are going to build a sand castle. Make sure your mold is clean and dry. Press the sugar mix into the mold. Use a spoon to scoop out some of the sugar from the back of the skull. This will make the skull less heavy. Repeat this process with the rest of the sugar. 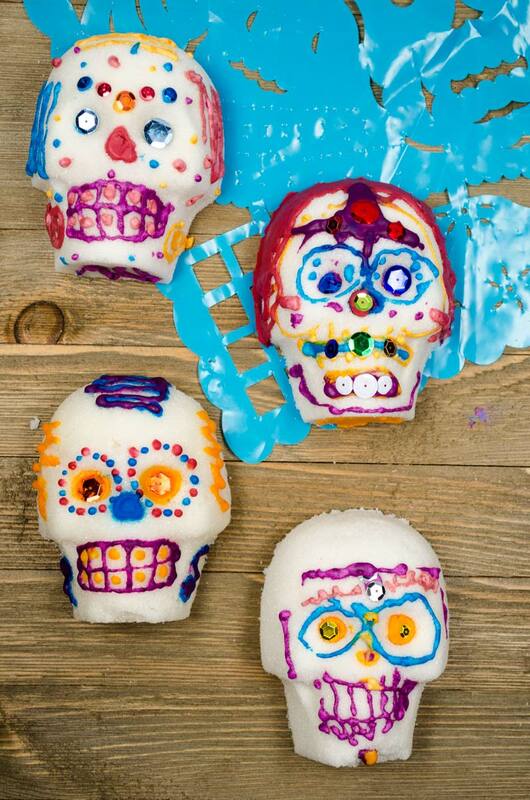 If you want to make a complete sugar skull use both the skull molds. The next day, in a large bowl, lightly beat the aquafaba until it starts to bubble. Add 4 cups of the powdered sugar and mix well. Test the consistency of the icing on a plate. It should be thick enough that it doesn’t slide down the plate easily. If it seems too thin, add 1 more cup of powdered sugar. The consistency should be considerably thicker than the icing used to decorate cookies. Decorate your skull however you desire. I like to use sequins for the eyes. Let dry 24 hours. If you are making complete skulls, leave some of the royal icing white, and use it to glue the front and back of the skull, after it has dried for the initial 24 hours. After you have glued it together, let dry a bit before decorating it. If you live in a humid climate the sugar skulls will take longer to dry, and you will most likely have to add less aquafaba. The longer you let the skulls dry the better. The sugar skulls are not meant to be eaten. They are for decoration. Royal icing recipe adapted from The Blenderist. 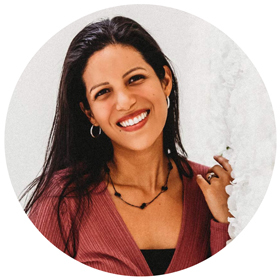 10/24/2017 /0 Comments/by Dora S.